This is breaking news for DD Freedish subscriber that Doordarshan approved tenders of 5 Indian manufacturers to manufacture set-top box for Doordarshan. Recently Doordarshan announced that now Doordarshan Freedish will carry mpeg-4 channels with iCAS (Indian Conditional Access System). But it does not mean that old STBs will not work, they can enjoy continuously 80 TV channels in their STBs. New MPEG-4 channels will be available in iCAS enabled set-top boxes. 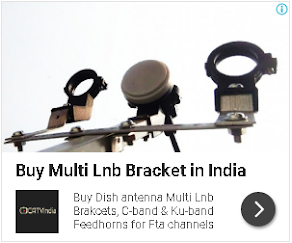 for iCAS DD Free dish approved tenders of five Indian manufactures to produce special set-top box with iCAS system. What is new in these set-top boxes? All set-top boxes manufacturing by OEMs (STB manufactures) will be integrate by iCAS provided by ByDesign Company and Doordarshan approved firmware/middleware/software. All set-top box will be BIS certified and tested.